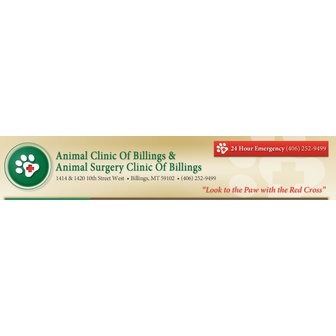 The Animal Clinic of Billings has been caring for pets since 1981. The Animal Surgery Clinic opened in 2005 as an addition to the original clinic and reflects our commitment to provide high quality diagnostic services, medical, and surgical care for the sick and injured. We are open six days a week to serve you and your pet. Our patients consist primarily of dogs and cats and we welcome rabbits, ferrets, and pocket pets. In addition to routine veterinary procedures we offer many specialized surgical procedures including orthopedics, advanced dental care, and cosmetic surgery. Our Canine Physical Rehabilitation Center offers patients, especially those recovering from spinal and orthopedic surgeries, care and services that were not previously available in Montana or other states in our region. Dr. Ken Brown grew up on the Montana hi-line and attended Montana State and Colorado State Universities where he earned his DVM degree in 1975. Working in emergency and surgery practices in California and Denver provided the opportunity to develop and improve the necessary skills for his lifelong veterinary passion - providing care and surgery for injured animals.